An index of London inhabitants within the city walls in 1695. Based on assessments for 80 parishes made under the Act of 6 & 7 Wm. and Mary, c. 6, and information from other sources for a further 17 parishes. The following entries were found by Eileen Bird. At the time of writing (July 2011) we have no known connections but I have published the data in case we find a connection. Changed the server set-up to incorporate extra security. 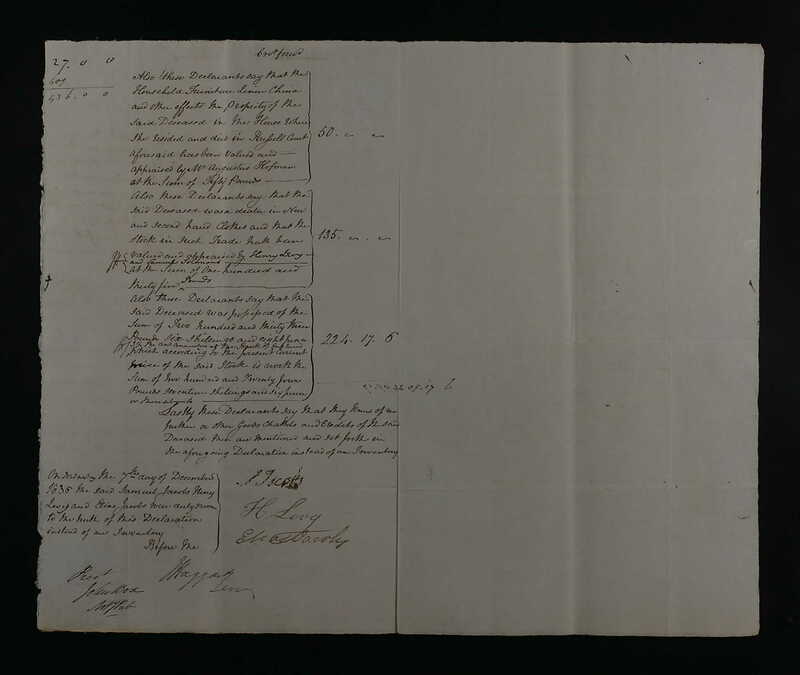 Added a number of wills that had come in, not all related. Added ‘Last Updated’ to the Breadcrumb on the home page. Not sure if it is working properly yet. Note about Henry Jacobs [Z 005] and a court case that made history. 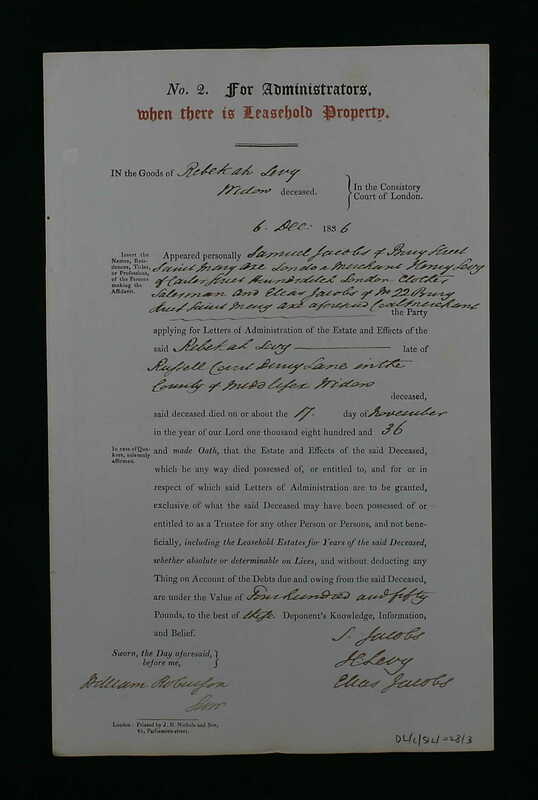 Edward Lawrence Levy and family changed their name to Lewis. John Jacobs – Catherine Newman – Catherine (Kate) originally known to us as Newman but turns out she was originally Cooper and name changed in 1911 – pre census but she still used Cooper on her marriage certificate after the census. Added some extra details to the Swaebe part of the tree including some half-siblings for Daniel Ben Moya Swaebe. Added a number of extra Yoxalls in the tree. Added quite a lot of Pursseys to the tree. Added the birth, and death of Simeon Jacobs, both in 1864. Added two photographs of Henry & Hannah Gomm’s tombstone, courtesy of Nellie Johnston. Added death for Sarah Levy thanks to Gerry for providing the death certificate. Ancestry I’ve recently added the Jacobs tree to my Ancestry trees (unfortunately it’s not showing for some reason at present) and am amazed at how many other matches there are, and not from people on our Jacobs Tree list. Jacobs court cases – there’s been some discussion, will update next month. Tip for locating streets in the census. Added sister for Rebecca Isaacs, Rachael, born Amsterdam. Found an additional child for Henry & Sarah Ben Moya / Swaebe in the 1891 census. Sarah has a son, Henry living with her. Henry was born in Toronto about 1870. Added birth certificate and details for Rebecca Benmoya Swaebe. There are 2 additional certificates that Hilary sent me that I hadn’t added possibly because I hadn’t realised their significance – I can’t remember. 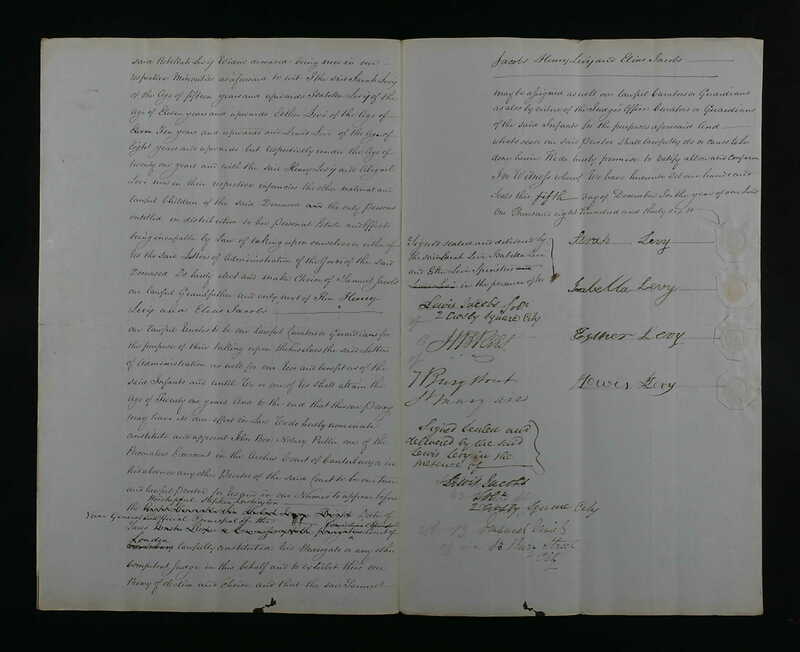 David Swaebe marrying Jessey Benmoya in 1844 (Jessy was married to Isaac Ben Moya and is Daniel’s mother. Unfortunately I can’t read the surname of Jessey’s father. In the 1851 census Daniel and Jessy Swaebe with their children including Daniel who was born in Brazil , are all shown as Swaebe. – thanks to June Keating for picking this up. 1850 census for Cincinnati. 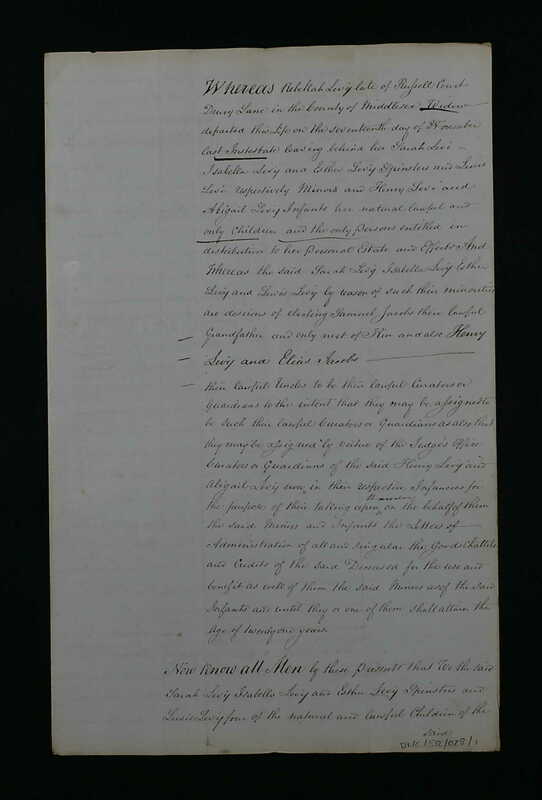 This shows an Abraham Harris who Gerry believes could be Hannah’s younger brother based on a ship’s manifest he found. 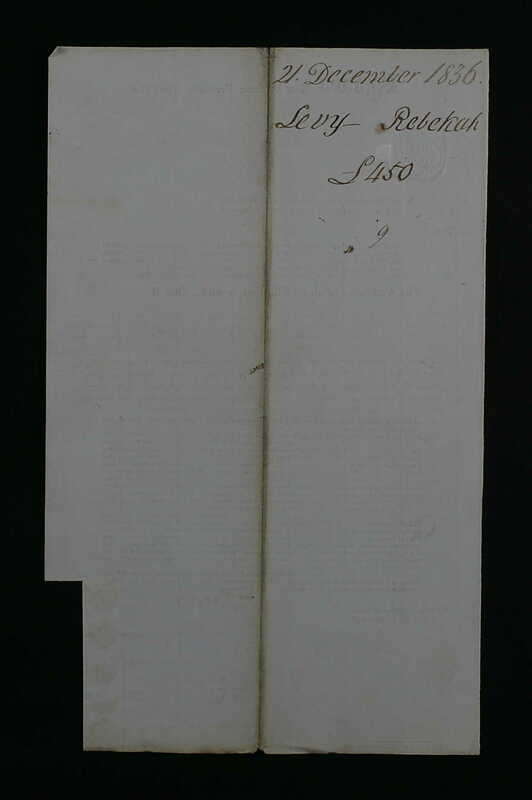 Ships’ manifest showing Hannah Silverstone and her children travelling from Liverpool to New Orleans with a final destination ofIllinois. – I not that they travelled steerage class. 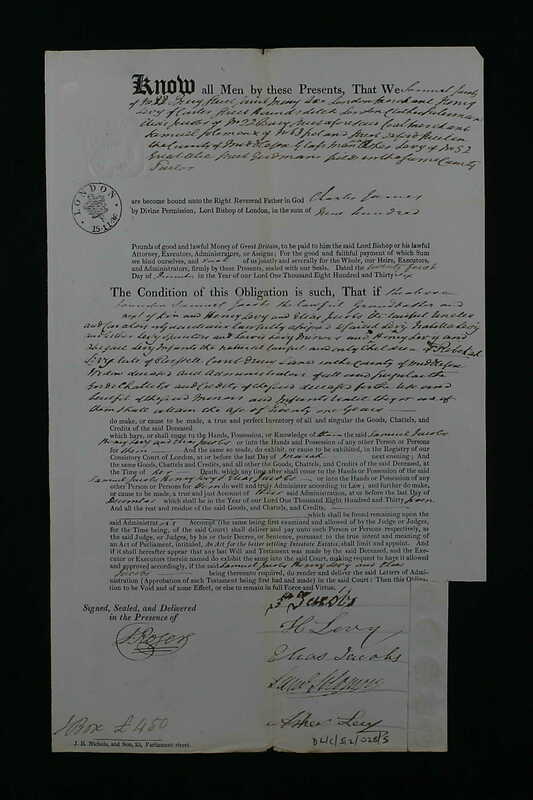 Birth Certificate of Emma Brown (wife of David Jacobs above) which gives her parents. Old Bailey entries for Jacob and Ellen Silverstone, as the injured party. Update to the Pelvin family courtesy of Winsome Griffin. Hilary Soper sent me some information and certificates for the Benmoya- Swaebe side which I have added. Belatedly updated the Levy family (descendents of Daniel Levy and Amelia Jacobs) courtesy of information received from Carol last year. Added a whole new photo album (Minnie Jacobs) courtesy of Lynda. Jean Lark was the name of Sydney George Jacob’s first wife, not Jean Edlin as was originally shown. Also Dennis Jacobs was their son, not the son of Sydney by his second wife. Thanks to Sydney’s grandson Gareth Jacobs for the corrections. In response to comments from a couple of people whose work is cited within the pages of the website I have added a ‘Credits and Acknowledgments’ section. The family tree database has had a bit of a facelift – I was bored with the old colour scheme, but is functionally unchanged. Also added a new viewer module so that when looking at source images they are contained within a frame and you can zoom in and out to suit your needs. This is a bit friendlier and tidier. 27 November some b*!”£%& hijacked the website! They replaced the index.html files with their own. Lot of work to get it sorted – note for future is to make sure that I keep better backup copies of the files. Thanks to Gary we now have Ellen Silverstone and her sons Lewis and Morris Jacobs (with his wife Sylvia Solomons and son) in the 1891 census and Sylvia Solomons in the 1881 with her parents. Another descendent of Henry Jacobs [Z033] but this time with Elizabeth Twine, is Donna Wilder. She has given me a brief outline of her tree which I have incorporated but as yet I have only got dates a couple of events. Microsoft have issued Internet Explorer 8 as a Beta. I have checked that the web site is OK using this version. However I have found problems in everyday use, not least when I’ve been trying to updating the website. I have replaced Berger scans that had to be removed for copyright reasons with a transcript and two trees based on the data. I received some extra information from Sarah-Jane Silver regarding the Simons family which I have added. Add link to http://genealogy.metastudies.net/ which concentrates on the Cohen and Cassirer family tree but has some data on Henry Jacobs and the Hart and Crawcour lines. Google have released a web browser called Chrome and I have done a preliminary check for compatibility of website with Google Chrome and it seems OK. Will try again once Chrome comes out of Beta stage. 1900 US census for Moses Jacobs & Julia Wolley. There is more work to be done here yet. These marriages donot give us any new information, they simply prove what we already knew. The following births are a mixture of the known and unknown. *Up to now I have only had an entry for an A H Jacobs based on entries in Berger at the time of his mother’s death in 1877. *I believe that AngelJacobs could be the AH referred to.If you know/think different, please tell me. *The entry is poor but the age is based on her being above her 12 year old sister in the list. Two photographs from Peter Susman, via Debbie Bozkurt. The first is the original and the second is a ‘tweaked’ version. Updated sources for numerous entries based on the certificates etc received. Modified Jacobs database links so that now open in main window – Vista sidebar using too much real estate. TNG database added to handle most of the data. phpBB3 added to provide bulletin board feature. Hosting moved to new site after old one ran out of space. We now have lots of space so expect more data in the New Year. Removed links from Overview page. Redundant now with Links/Sources page. 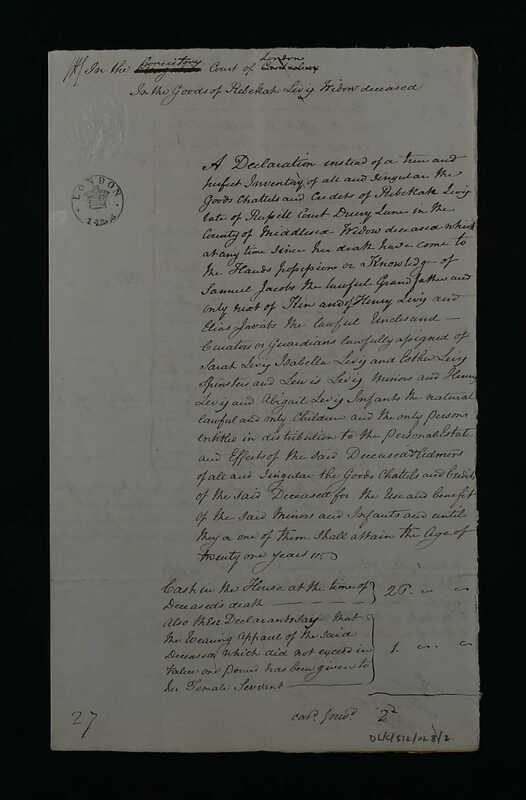 Added the will of Philip Jacobs [Z003] to overview page. 1850 census for Cincinnati. 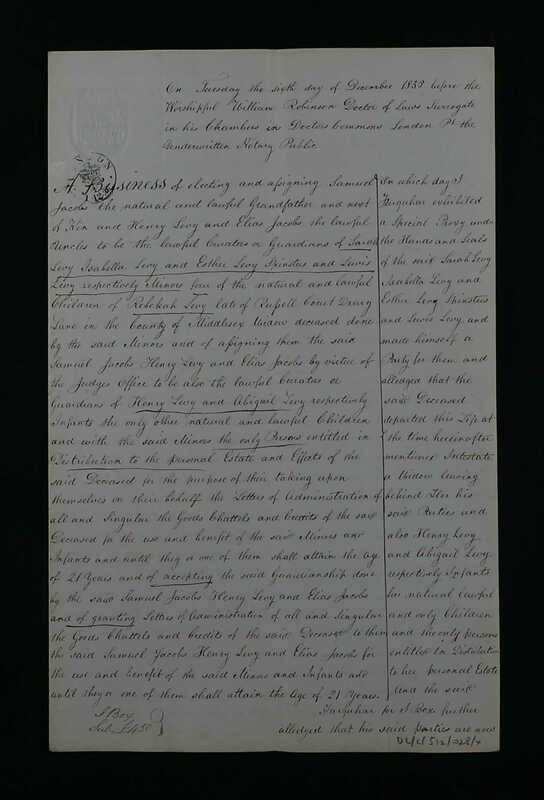 This shows an Abraham Harris who Gerry believes could be Hannah's younger brother based on a ship's manifest he found. Ships' manifest showing Hannah Silverstone and her children travelling from Liverpool to New Orleans with a final destination of Illinois. - I not that they travelled steerage class. 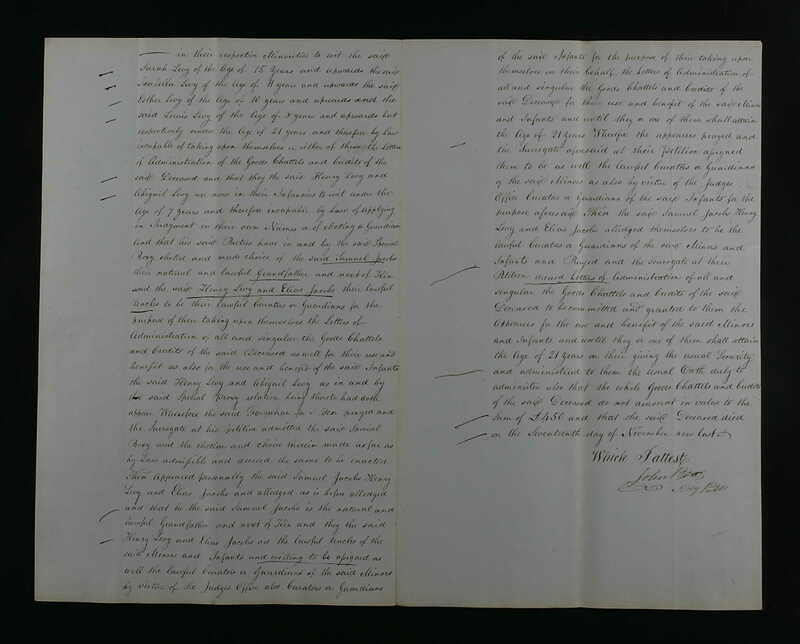 During his research Gerry Newnham came across the will of Rebekah Levy and obtained a copy on the off-chance that she may be related. Unfortunately at this time (2 July 2011) we have not made a connection but the base information is here just in case. I have not looked further and Samuel doesn’t mean anything to me at present. Elias Jacobs is mentioned in Rebekah Levy’s will. It doesn’t look as if Samuel and Elias Jacobs are related to our Jacobs – but I would still like to know if Rebekah Levy is related to Simon Levy. If Samuel Jacobs was the children’s grandfather would that make him Rebekah’s father? They were there in 1858 as daughter, Sarah, was born there. He reappears in the 1860 register albeit at 9 Queens Road, which may be an error because it is a bit coincidental that the house numbers are the same, and there is no entry for a Jacobs at North Street Quadrant. The entry for voting is David until 1863 when it changes to Henry, although the business entries only change from David to Henry in 1868. My best guess is that he is Henry’s elder brother but this needs some research because we already have him in London for much of this period although this doesn’t stop him owning the Brighton business and getting Henry to run it for him. As long as it is in his name it will be his name that appears on the voting registers. Also, David dies in 1869 and it is only in the previous year that the business name has changed to Henry. Need to get a copy of David’s will to see if he makes any mention of Henry in Brighton. 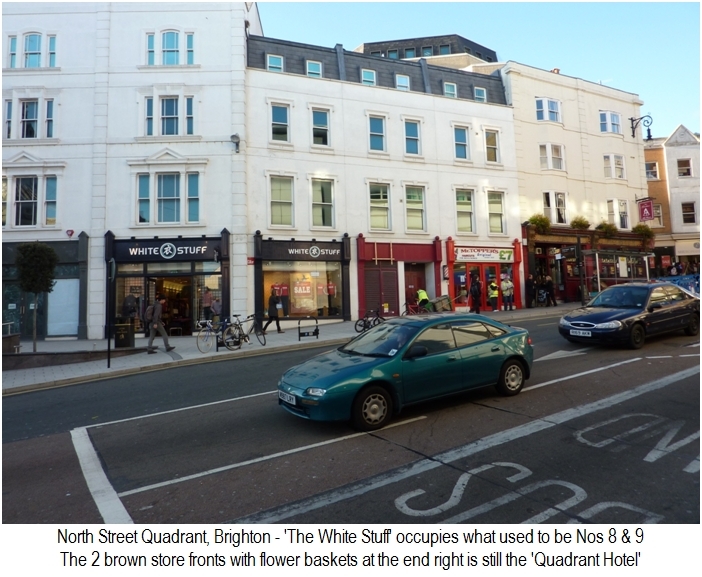 I initially thought that Quadrant was an area in which North Street was located, however it is actually a block of buildings located at the top of North Street by the clock tower (it was an obelisk when the Jacobs were there). The quadrant today is a mixture of styles and ages of building. I believe that Nos. 8 and 9 are occupied by White Stuff’. The Quadrant Hotel is still there at the end of the block. 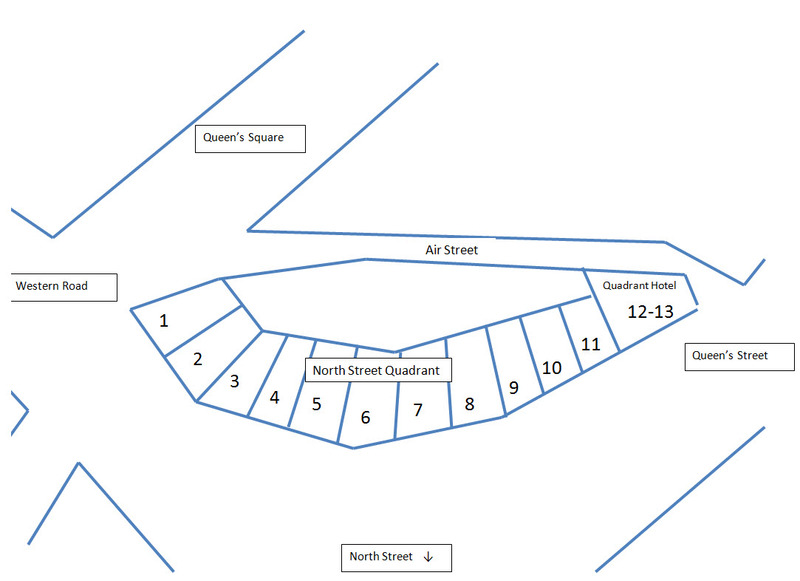 The map below is based on an 1874 map and appears to show only 12 premises but I believe that the Quadrant Hotel which was 12 & 13 is simply shown as 1 building. Ruth carried out a brief review of the newspapers of the time but no entries were found for the Jacobs. A more thorough search when time permits may find something. A combination photo taken by Alfred Furneau in December 1911. Note that Alfred has written the old property numbers at top. Thought I would share this with you, has anyone else had a strange coincidence? My Mother is Jewish, I am at present researching her father’s line part of which is the Jacobs. Ezra Jacobs who we believe is our 1st Cousin somewhat removed was a butcher and lived and worked for a number of years at 8 Bell Lane, Whitechapel. He died in 1893 at the same address. We keep coming across the term Priv. Mem. in various documents so I thought I would post some information on it. Visiting tourists looking for the East End’s most famous market could be forgiven for being confused. In fact, you will sometimes see them outside Aldgate East station, or at the foot of Middlesex Street, scratching their heads as they pore over their A to Zs. Because, of course, there is no such street as Petticoat Lane – and nor has their been for around 170 years. We know that three members of the family went to Australia and/or New Zealand. They the brothers Samuel and Lawrence, both sons of Moses Jacobs, and their second cousin David, son of Ezra Jacobs.